The largest-ever exhibition of Walt Disney props, costumes and artwork is now open through April 2013 at the Ronald Reagan Presidential Library & Museum in Simi Valley. Presented by D23, the official Disney Fan Club, Treasures of the Walt Disney Archives features more than 500 artifacts spanning nine decades of Disney history, displayed throughout 12,000 square-feet of exhibit space. Almost half of the pieces have never been seen by the general public. Entry to Treasures of the Walt Disney Archives is included with paid admission to the Ronald Reagan Presidential Library & Museum, which means you can board Air Force One and view Jack Sparrow’s pirate ship all in one day. 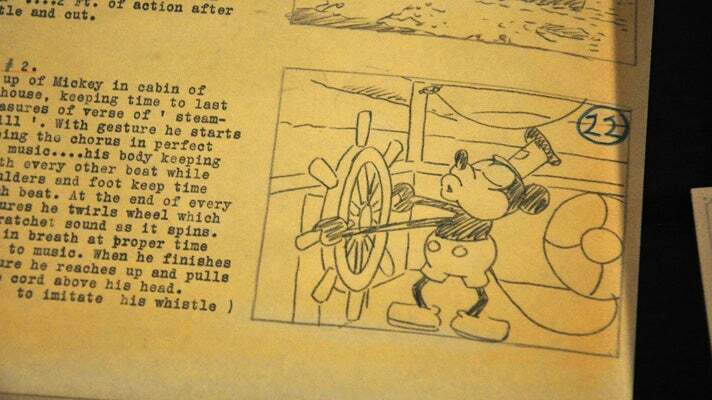 Animation script for Steamboat Willie (1928), featuring drawings by Ub Iwerks and text typed by Walt Disney. Besides introducing Mickey and Minnie Mouse, Steamboat Willie is notable for being one of the first cartoons with synchronized sound. In 1998, the black-and-white film was selected for preservation in the National Film Registry for being deemed "culturally, historically or aesthetically significant." 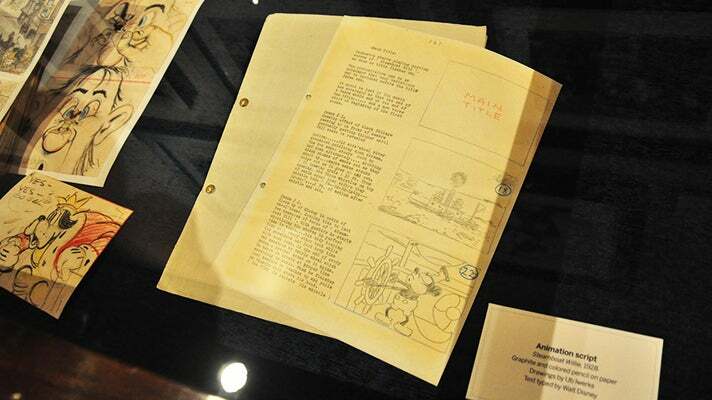 Disney would keep the Steamboat Willie script in his desk until his death in 1966. 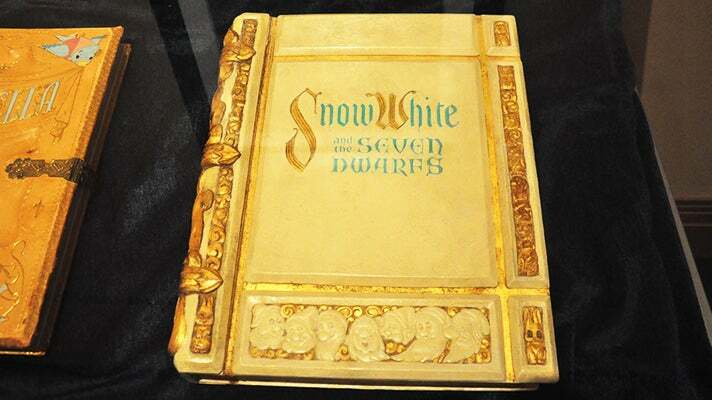 The storybook used to film the opening sequence for Snow White and the Seven Dwarfs (1937). The book, along with those from Cinderella and Sleeping Beauty, was recently restored by the renowned Huntington Library in San Marino. Snow White and the Seven Dwarfs is considered a landmark film for many reasons: it’s the first full-length animated feature film in motion picture history; the first animated feature film produced in America; and the first produced in full color. Walt Disney was given an Honorary Academy Award in recognition of the film’s achievements; he received a full-size Oscar statuette and seven miniature ones. Profits from the film financed his new movie studio in Burbank, where The Walt Disney Studios is located today. A detailed recreation of Walt Disney’s “formal” office in Burbank features original furnishings and many of his personal items. Used for VIP guests, the office includes a baby grand piano played by Leopold Stokowski, who previewed the music he had composed for Fantasia, and Richard M. Sherman, who played music from the Oscar-winning score for Mary Poppins. 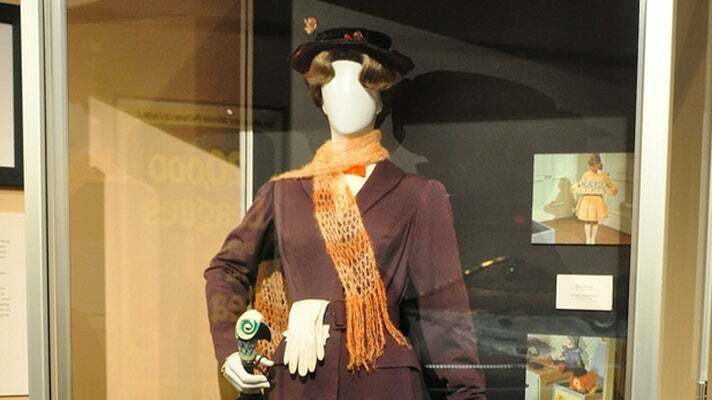 Speaking of Mary Poppins, Disney fans and movie buffs alike will be delighted to view the traveling costume worn by Julie Andrews in that film, the Nautilus from 20,000 Leagues Under the Sea, the Model T from The Absent-Minded Professor and many more props and costumes from Disney’s live-action films. 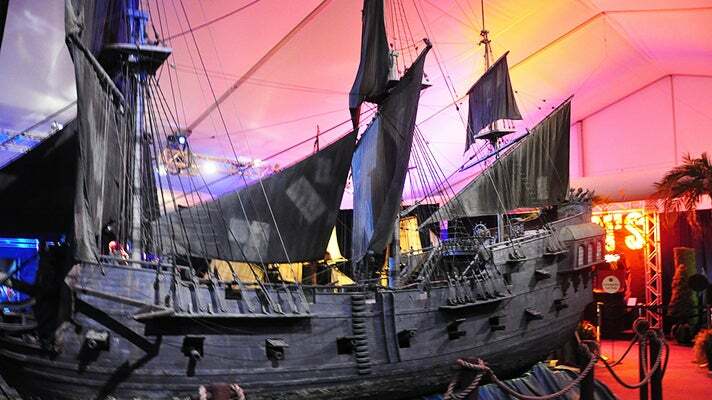 A section devoted to Pirates of the Caribbean is one of the most extensive in the exhibit, including an animatronic from the popular ride that inspired the movie franchise, costumes and a huge model of the Black Pearl herself. The Walt Disney Company’s acquisition of Marvel Entertainment in 2009 added 5,000 characters to the Magic Kingdom, including “Earth’s Mightiest Heroes,” The Avengers. 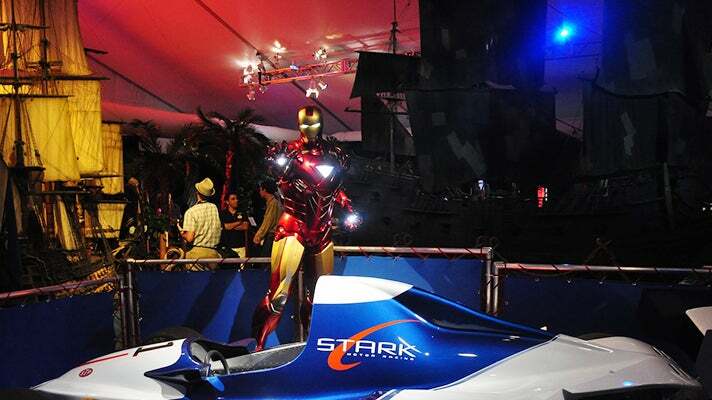 Costumes and props for two characters from that blockbuster film are on display: Iron Man and Captain America. The exhibit concludes with a section focused on Walt Disney’s relationships with numerous presidents, as seen through photos and correspondence, as well as a striking display of busts of each of the 44 presidents.